Outsourcing History | 8x8, Inc | 8x8, Inc.
We have entered a new age of business where the “do it all yourself” mantra has been replaced with the convenience of outsourcing. To explain outsourcing in its most basic sense, it is the process of giving a specific task associated with a company to another entity. This entity can be a person or an organization. The 3rd party vendor is then paid for completing the task while the company can invest more time into other matters. But when did outsourcing begin as a business practice? If you are thinking that outsourcing became a thing around the 2000s, you'd be wrong! The concept and practice of outsourcing has been present in history from as early as the 19th century. Read one to find out more! Outsourcing has been a big part of the business world for many years. Starting back in the early 1800s, you would see shipping crews take in people from many different parts of the world, so that the ships could operate at a much lower rate, thanks to cheaper labor. In 1868, Japan was making huge efforts to start modernizing its economy. The country hired engineers and technicians from abroad to lead factories and teach Japanese workers how to operate machines. This is again a fine example where a country used foreign power to gain the required knowledge to kick-start modernization and subsequently industrialization. By the 1960s, data entry jobs were the next big industry to begin outsourcing. Prior to this, the expense and maintenance of computers were too expensive to buy and run. Thusly, large sets of data were distributed among workers who were proficient in math. But as computers became more affordable, many companies began to outsource data entry and other similar jobs, thus decreasing their need for large, internal workforces. By 1998, outsourcing reached a great milestone as it became a $100 billion industry, and began to pave the way for how important outsourcing has become for companies and organizations around the world. Today, many companies meet deadlines solely due to the fact they have third-party outsourcing firms working for them on several aspects of their business. When we review the turn of events throughout history, it becomes clear that outsourcing came as a result of the broadening of human exploration and communication. Outsourcing opened new ways for businesses to collaborate. Now business transactions are being done between companies who are thousands of miles apart, just through the power of communication. However, as companies scale in size, its requirement for communications also changes. 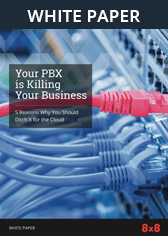 This is why modern businesses choose to use cloud communication over more conventional means, as it offers superior advantages over the traditional wired communication systems. These types of systems are some of the known applications that use SaaS model to offer seamless communication channels without the expense of setting up IT infrastructure. With UCaaS, businesses can unify all communication channels into one. This includes instant messaging, voice and video calling, SMS and VoIP-based business phone systems. This cloud-hosted application fits well in connecting outsourced teams with your headquarters and offices, while also offering transparent and unbroken lines of communication. CCaaS is another example that promotes a superior level of collaboration with your outsourcing partner. With advanced features such as workforce optimization, IVR, analytics and reporting along with a suite of unified communication tools, CCaaS allows you to gain better control over your outsourced functions, while optimizing the performance of your remote teams for better productivity. As its history suggest, outsourcing will continue to be a vital part of any businesses' operations as we move into a more technically connected world. Your business has enough on its plate. Outsource what makes sense for your business, choose a world-class SaaS technology solution and focus on what's important: your clients. Call 1-866-879-8647 or fill out an online form to request a no-obligation quote from an 8x8 product specialist.